A federal grand jury indicted seven people on Thursday for attempting to help a man accused of murdering a Newman police officer flee to Mexico, according to the indictment that details each suspects alleged participation. On Dec. 26, Gustavo Perez Arriaga, 33, allegedly shot and killed Newman Police Officer Ronil Singh, 33, during a DUI traffic stop. Arriaga, who was illegally in the United States, had two prior arrests for DUI. While officers searched for Gustavo Arriaga, seven people allegedly conspired to help the suspect flee to Mexico. Shortly after the shooting, Gustavo Arriaga’s girlfriend Ana Leyde Cervantes-Sanchez, 30, provided the suspect a change of clothes at their residence in Newman, knowing he had shot a police officer, according to the indictment. Gustavo Arriaga’s coworker Erik Razo Quiroz, 32, and his brother Conrado Virgen-Mendoza, 34, then hid the suspects truck in a carport and drove him from Newman to several locations in California. Razo Quiroz also helped Gustavo Arriaga dispose of the Smith and Wesson semi-automatic pistol allegedly used in the shooting. Another of the suspect’s brothers, Adrian Virgen-Mendoza, 25, drove Gustavo Arriaga to a residence in Buttonwillow and asked the occupant to let Gustavo Arriaga spend the night, according to the indictment. Adrian Virgen-Mendoza then borrowed money from the home’s occupant which he wired to help pay for Gustavo Arriaga’s planned flight to Mexico. 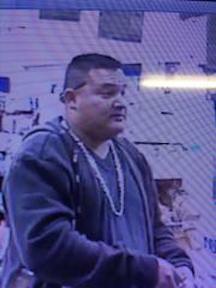 Adrian Virgen-Mendoza then drove his brother to a residence in Bakersfield where he was to await transport to Mexico. In Bakersfield, Bernabe Madrigal-Castaneda, 59, and Adrian Virgen-Mendoza bought a cell phone they gave to Gustavo Arriaga. To assist in his flight to Mexico, Erasmo Villegas-Suarez, 36, gave $500 he received in a wire transfer and clothing to Gustavo Arriaga. After a two-day manhunt, officers arrested Gustavo Arriaga at the home in Bakersfield. In the indictment, Razo‑Quiroz, Adrian Virgen-Mendoza, Conrado Virgen‑Mendoza, Villegas-Suarez, ACervantes-Sanchez, Madrigal-Castaneda, and Maria Luisa Moreno, 57, were charged with conspiring to harbor an alien. In addition, Razo‑Quiroz is charged with being a felon in possession of a firearm and being an alien in possession of a firearm. If convicted of the firearms offenses, Razo-Quiroz faces up to 10 years in prison and a $250,000 fine. Those accused of conspiracy charges face up to five years in prison and a $250,000 fine.